Published on Monday, April 8, 2019. This article appears in the April/May 2019 issue of American Craft Magazine. Regional Roots: Midwestern metal and clay artists light up shows in St. Louis and Canton, Ohio. 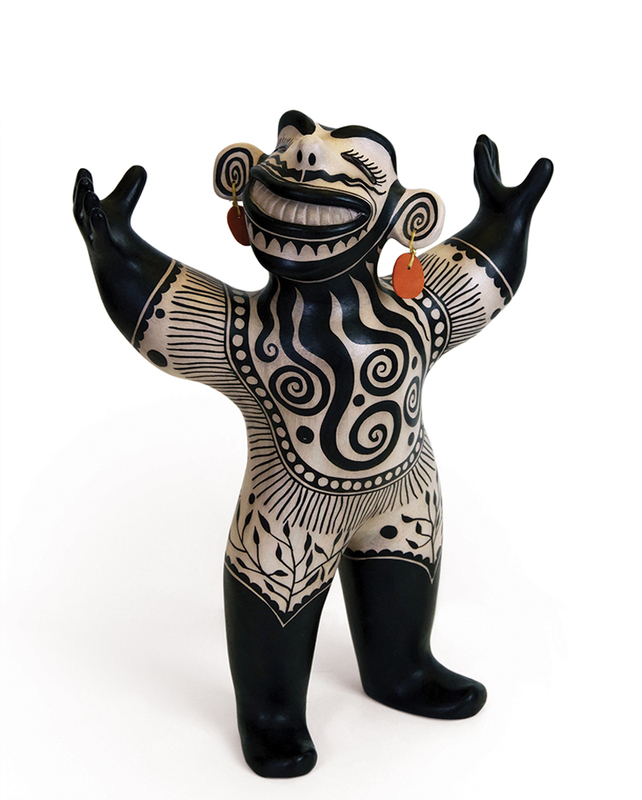 A gift brings a collection of Southwestern art to Boise, and in Washington state, Native artists interpret historic works in glass. "Silver Splendor: The Works of Anna Silver"
In the 1970s, Anna Silver transferred her vocabulary of color, layering, and gestural mark-making from painting to ceramics. 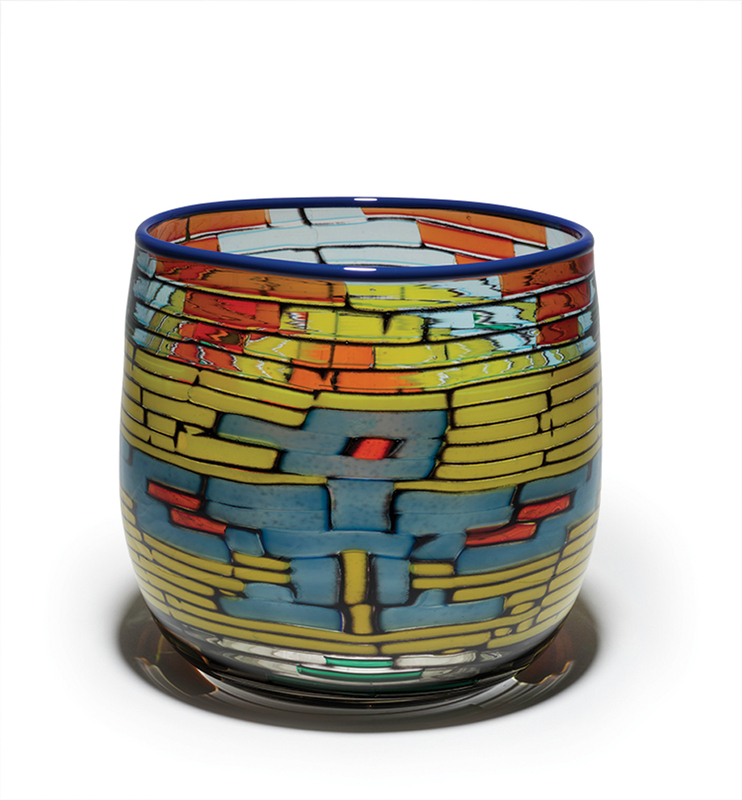 Although she’s known for her clay totems, cups, bowls, teapots, and other vessels ablaze with abstract imagery, this look back at her 50-year career also includes recent works in glass and rarely displayed preparatory drawings. "Serious Play: Design in Midcentury America"
Rocket-fueled by postwar prosperity, refined mass-production, a baby-boom focus on child development, and an optimism meant to counter Cold War anxiety, midcentury designers often took a lighthearted approach. 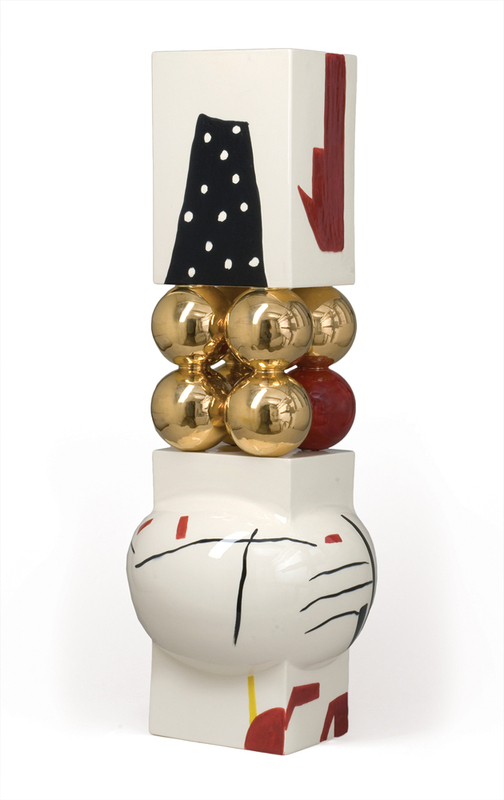 This show, co-presented with the Milwaukee Art Museum, offers 200 examples of cheerily conceived textiles, ceramics, furniture, toys, and other artifacts of the era. Artists from 10 countries confront the worldwide refugee crisis in 36 works that illuminate its costs: sundered families, profound personal and material loss, stress on host countries, and a desperate need for international solutions. The show was organized and juried by Studio Art Quilt Associates. "Ceramics and Textiles from the Southwest: Gifts of the Carley Collection"
Over 20 winters in the Southwest, Boise natives Joan H. and John B. Carley collected ceramics, sculptures, and textile works by Apache, Choctaw, Hopi, Navajo, Pueblo, Tohono O’odham, and Wyandot artists; they donated the entire collection to the Boise Art Museum in 2016. Among its delights on view here: black vessels by San Ildefonso Pueblo artist Maria Martinez, intricately woven Navajo rugs, and an early 20th-century jar from the Acoma Pueblo. Metalsmiths have long tucked messages and hidden details into their work, some of them never meant to be visible. 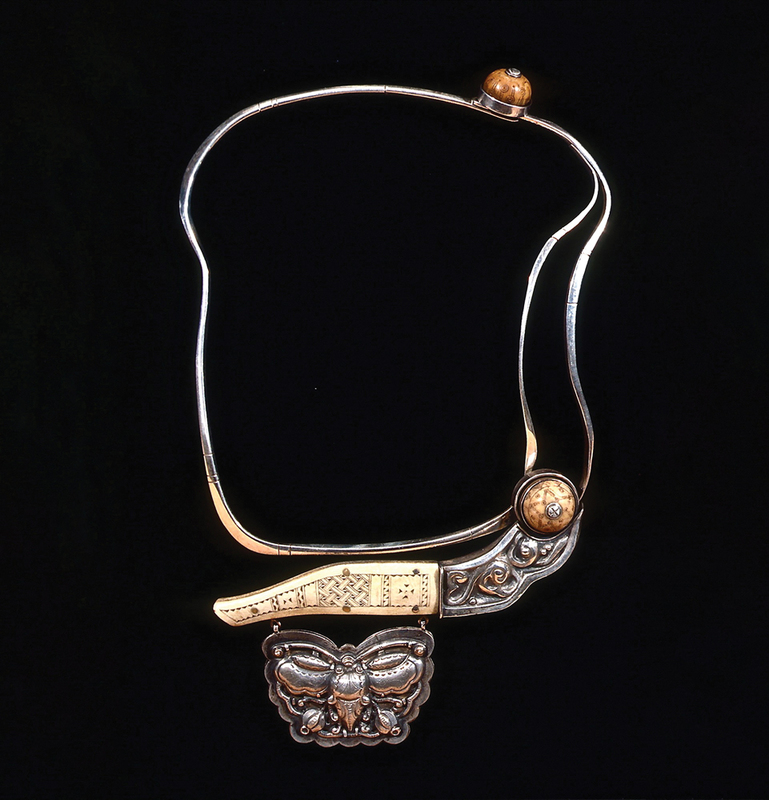 For this show, co-presented by Midwest Metalsmiths, artists were invited to consider this tradition; viewers can see (or not see) how they interpret it. This survey of innovative work breaks all the news in glass, with 100 cutting-edge objects, installations, videos, and performances by 100 artists from more than 25 countries. Personal and cultural histories, traditional ways of living and thinking, and the landscapes of home are among the deep wells from which 10 contemporary Native artists draw inspiration. "Drafting Dimensions: Contemporary Midwest Ceramics"
Sometimes artists have to reach beyond a single medium to say what they want. 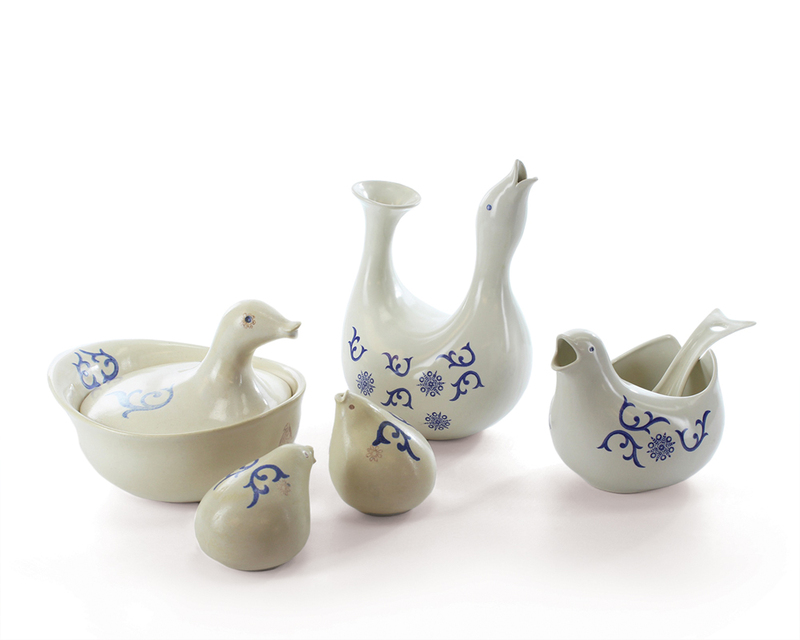 The six ceramic artists in this show also use drawing, painting, and printmaking in their work to sharpen their messages or designs. Johnny Swing uses sketches, prototypes, and specialized tools to design his coin furniture and large-scale lighting, with examples of all these on view. Guided by narration Swing recorded for the show, viewers can follow his process from initial idea to finished object. "Ron Ho: A Jeweler’s Tale"
Ron Ho’s books, tools, and workbench – along with his writings, paintings, and other treasures from his life – summon the spirit of this Northwestern gem among jewelers, who died in 2017. 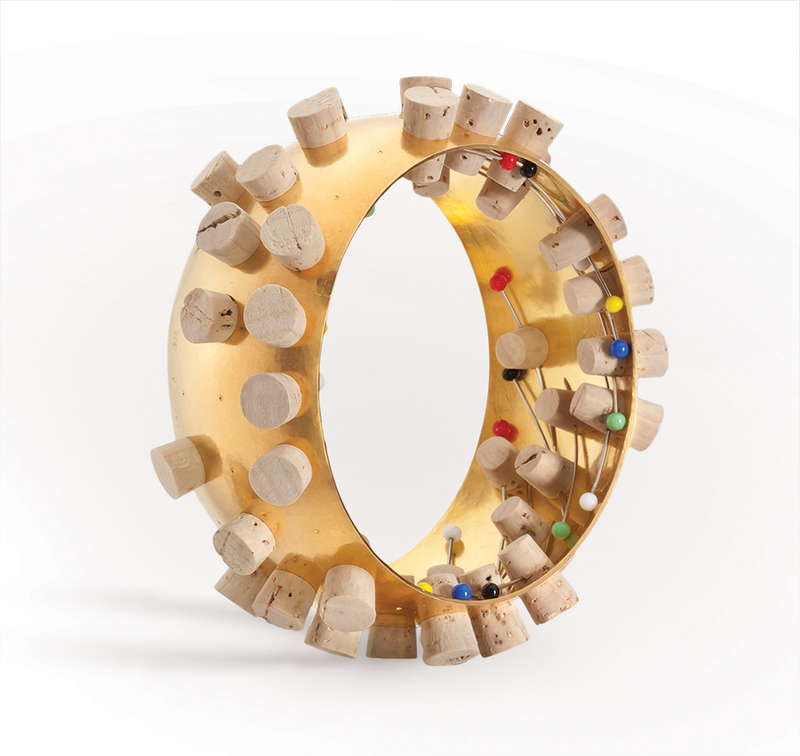 More than 25 works from Ho’s 50-year career reveal a creative explorer whose path was illuminated both by his Chinese heritage and his belief in jewelry’s storytelling power. "Translations: An Exploration of Glass by Northwest Native Carvers and Weavers"
The museum partnered with the Evergreen State College Longhouse, an indigenous arts and culture organization in nearby Olympia, to organize this show. Three generations of artists from carving and weaving families visited the museum hot shop, where, guided by glass artists Dan and Raya Friday of the Lummi Nation, they created objects inspired by archival works of Northwest Native art. The result: about 40 glass translations of baskets, sculptural figures, bentwood boxes, and other traditional objects. The cabinets, tables, and chairs of Charles Radtke reward close examination: He is famous for his attention to detail and for incorporating hidden surprises, such as intricate interiors and secret compartments. This is the first retrospective of his work.